“The current polarization between growth and saving is wrong. 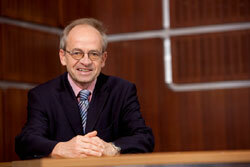 We need both in Austrian and in Europe.” Christoph Leitl says. Never before, public finance could be restructured without growth and employment, Leitl thinks. Together with the director of WIFO Karl Aiginger, Leitl presented short and medium-term growth and employment measures.